Just over the road from a beach access that takes you to a beautiful calm beach spot. Arataki Fish and Chip shop, Dairy and OBR italian restaurant right over the road. One km to Bayfair shops and supermarket. Just a 12 minute drive to downtown shops and restaurants, Mount Maunganui itself, beautiful Pilot Bay and hot pools. Hire a paddle board, go surfing, take a walk round the mount or go fishing. Check out the Little big markets or see whats on at Baypark. So much to do and so close to everything. Nice, spacious house - perfect for us (2 couples). Walking distance to the mall and so handy to the beach! Perfect place for our family of 4 (2 kids aged 4 and 2). 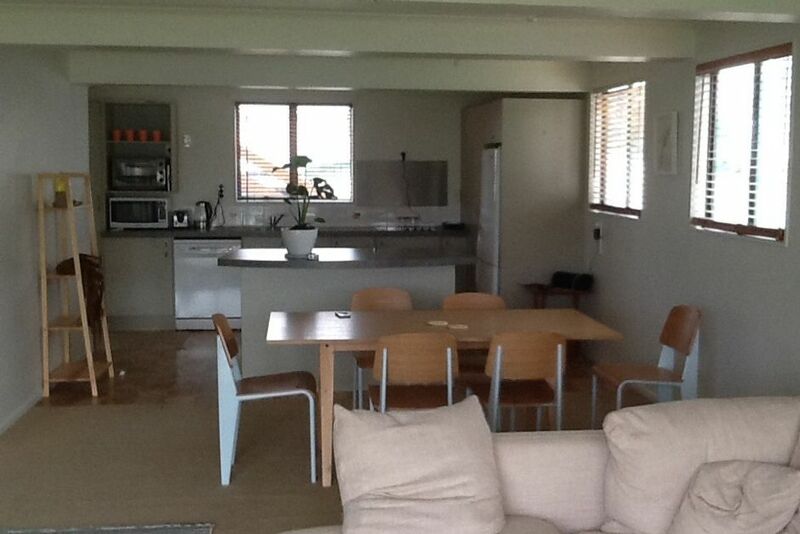 Really close to the beach, and so handy having the shops (dairy, fish and chip etc) nearby. House had everything we needed, and was a lot more spacious than we were expecting. Would definitely stay here again! Great house that was perfect for our requirements. Thanks for having us to stay. Perfect house for us and in a great location. Sadly we were visiting for work and not on holiday. The house had everything we needed to prepare meals and pack lunches. Would be a great spot to holiday. The beach is a very short walk and all other amenities are close by. Owners were great to deal with. Highly recommend this property. Thanks very much for being such lovely, tidy, easy guests, please come again! Great location.... nice and spacious ..walk distance to beach...owner was very helpful and responded quickly to any questions..
We had an amazing stay here, our family of 4 fit comfortably in this unit. Had everything we needed, perfect spot close to everything. Recommend to all. We will definitely be back! Thankyou for being such lovely, accomodating, helpful guests! House was spotless would love to have you again!